This 2-in-1 sun lotion for face and body is perfect for protecting all skin types in accordance with the recommendations for use, easy to spread protecting the skin against sunburn and premature skin aging. A broad spectrum UVA-UVB absorber system offers ideal skin protection. 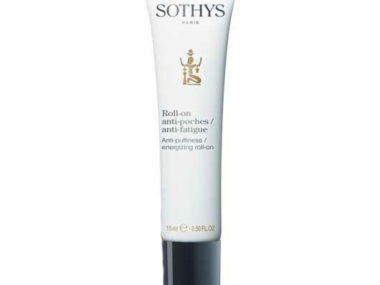 The non-sticky formula with Vitamin E and Tamarind extract hydrates and leaves the skin soft & supple. Hydrates and preserves skin’s moisture. Apply generously to the face and body at least 30 minutes before sun exposure. Avoid the eye contour. Repeat the application frequently. UVA and UVB Filters – Protect skin against burning, damage, and premature aging. Celligent™ – A plant-based ingredient to optimise skin cell functions and thus preserve the skin’s youthful look; repairs and protects epidermal DNA; encourages skin regeneration. Vitamin E – a great antioxidant that hydrates, heals and protects against free radicals. Tamarind Seed Extract – Rich in polysaccharides, this is the plant equivalent to hyaluronic acid; boosts skin’s hydration; leaves skin smooth and supple.